Some bulldogs love their food so much they eat too quickly, which can be bad for their digestion and can lead to stomach aches and vomitting. The faster they eat, the less they chew, which can cause them to choke. When they race through their food they are also swallowing large amounts of air. This can result in burping or passing gas, not enjoyable for those around but relatively harmless. 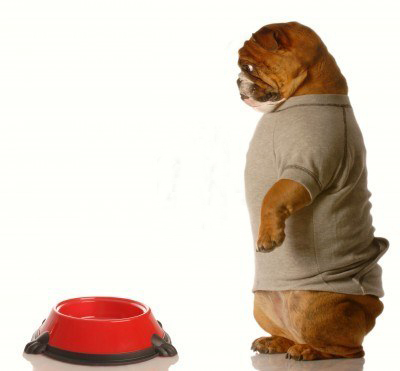 Some dogs, typically large chested breeds, can cause a food bloat from the large amount of air and how much they eat. The chance of the stomach twisting while they are bloated with food or air is greatly increased. There are many theories of what causes a bloat that twists (Gastric Dilatation Volvulus) and eating fast is one of the most common. When the stomach twists it greatly decreases, or cuts off, blood supply to the stomach. This is life threatening and can cause serious irreversible damage to the stomach or death. They MUST be seen immediately by your veterinarian, there is NO home remedy. A bloated belly, walking hunched over, attempting to vomit (unsuccessfully), listlessness and pacing around are the common symptoms seen with a stomachbloat. So to prevent, stomach aches, burping, reduce the farting and decrease the chances of a stomach twist/bloat here are some simple tips to prevent your bulldog from eating to quickly. 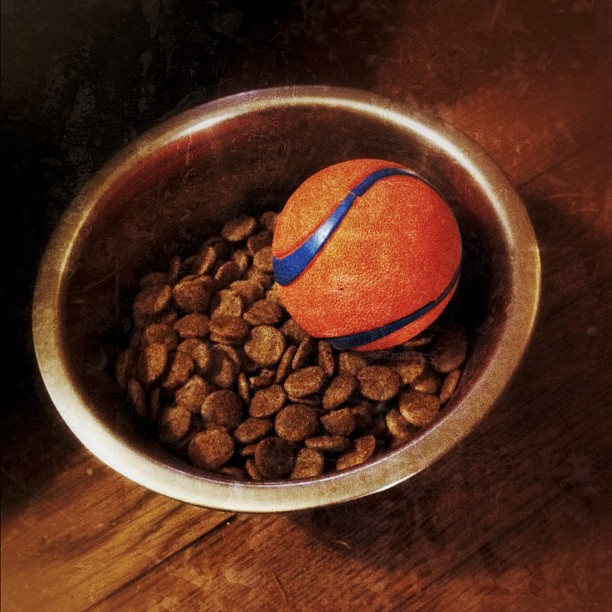 One simple way is putting a ball into their foodbowl. This way they have to shove the ball from side to side to get the food and this will slow them down. A rock will do aswell, be certain the object you place in the bowl it is too large for the dog to eat! Another way is to put the food in 2 seperate bowls, placing them in 2 locations so the have to find it and have pause in between. If your dog eats to fast always use a flat pan in stead of a deep bowl. That way, they won’t be able to take big mouthfuls of food and have to work more to get all the bits of kibble. 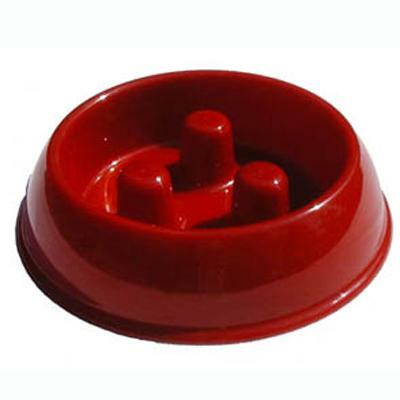 Most dogs are not smart enough to get the ball out and start munching again but when you have a bulldog that does, the following product shown in the video might be helpfull. There are also several products available in stores and at the vets to help your dog slow down its eating. A final important note: always give your dog 20 to 30 minutes after his meal to digest their food. Don’t let them play or run and cause this can also increas the chances of getting a stomach bloat or twist.